Renewable diesel producer Neste has opened its first cardlock in San Leandro, California that will offer the company’s MY Renewable Diesel. 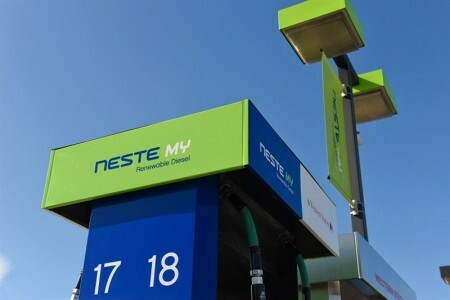 The milestone marks the first time that vehicles can fuel up with Neste’s renewable diesel, made from sustainable biomass, directly at a station. Cardlocks are unstaffed fuelling stations designed to accommodate fleet vehicles, such as large trucks. The company plans to open three other sites across California, with each able to supply its renewable, low-carbon diesel fuel, produced from 100% renewable and sustainable biomass. According to Neste, the fuel reduces greenhouse gases by up to 80% compared to petroleum diesel. The renewable fuel is a direct replacement for petroleum diesel and does not require blending. It is compatible with all diesel engines, with no modifications required.